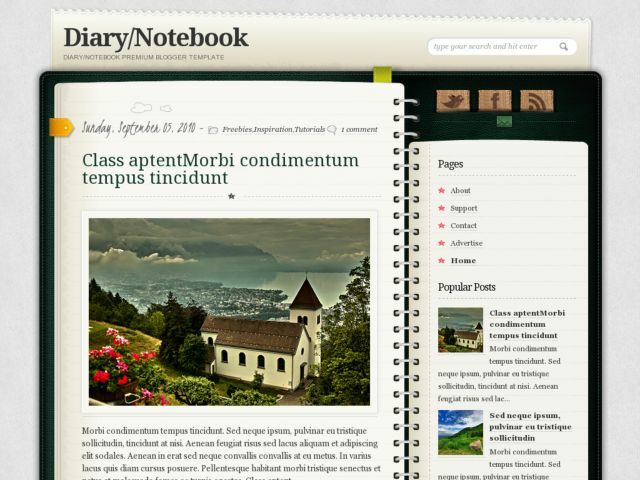 Descriptions : Diary Notebook Blogger Template is a nice blogger template with 2 columns layout. Template type : cool and clean, page book design, fixed, right sidebar and rounded corners style. Suitable for blogs about diary or biography.